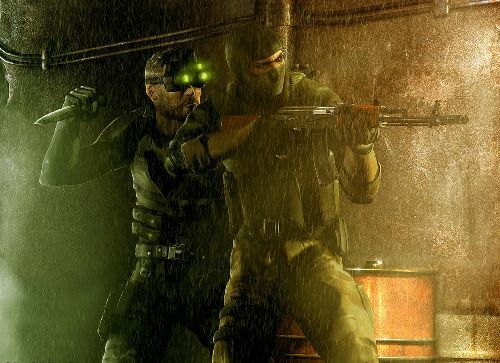 The Splinter Cell Series is approaching its 11 year anniversary. It is one of the few franchises that has successfully spawned a following outside of the gaming universe, spawning six novels and a feature film in development (starring Tom Hardy as Sam Fisher). It has provided the gaming industry with revolutionary multiplayer, beautiful lighting effects, one of the best voice actors of all time, and much more. To be honest, the series has touched me more than any other franchise and made me a ?gamer.? However, like most franchises, there have been a few stumbles?I?m looking at you Splinter Cell Essentials. Now, less than a month away from the release of Splinter Cell: Blacklist, we will take a look back at the series and take a look into the future. I remember Christmas morning 2002, I was nine years old (yes, I?m young) and all I wanted was Tom Clancy?s Splinter Cell. Coming from a Southern Family ?i.e. religious- I knew it would be a chore trying to convince my mother that I was mature enough for a Teen-rated game. I remember reading articles in Official Xbox Magazine to my mother convincing her that the game was appropriate and constantly hinting how I prayed that Santa would bring me the game. Luckily, my wish was granted and created the gamer you see today. I remember starting the game and running through the obstacle course that served as the tutorial over and over again, mesmerized by the graphics, especially the lighting effects. My dad, who has never played a game in his life, would even watch me play. Creeping in and out of the shadows, quietly taking down enemies, this was all brand new to me. 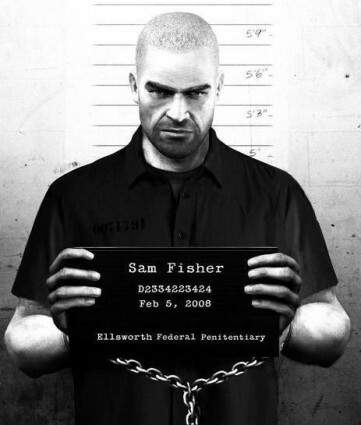 Sam Fisher was no James Bond. He worked for the NSA, he was dark, he was real, and in my young mind he was a real spy. Fisher was made by Michael Ironside, who in my opinion is one of the greatest voice actors in gaming history. As I said earlier, Splinter Cell made me a ?gamer.? I had played games before, GoldenEye, Madden, Mortal Kombat, but Splinter Cell stuck with me. It was the first game I wrote a review about and I gave it a perfect score. I?m sure Ubisoft Montreal was glad to have a nine year old’s approval, but I wasn?t alone. 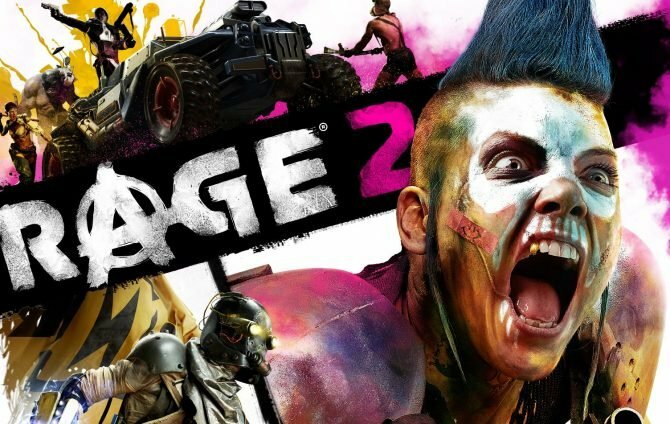 Critics raved about the game, and the Xbox version holds a 93 rating on Metacritic. While the PC version holds a 91, the PS2 and GameCube versions both hold a score of 89. A 2-D version of the game was also released on the Gameboy Advance and holds a score of 77, this version was later ported to the N-Gage (remember that thing?). Tom Clancy?s Splinter Cell sold more than 3 million copies worldwide, and Ubisoft was quick to pump out a sequel. Ubisoft Shanghai released Splinter Cell: Pandora Tomorrow on March 24, 2004 for Xbox, PC, and GameBoy Advance, which was less than 18 months after the original. It was later released on PS2 and GameCube that summer. The single-player was largely untouched, which wasn?t a bad thing, but there were a few changes that fixed a few issues from the first game. Fisher could now open doors while carrying bodies, the SWAT turn was introduced, and you could now shoot while hanging upside down. The revolutionary change was the addition of multiplayer to the game. Here, players played as either ARGUS Mercenaries or SHADOWNET Spies. The multiplayer tied into the single player plot, as you attempted to retrieve and secure the ND133. Due to me living in the middle of nowhere, I vividly remember traveling into town to ?visit? my grandparents only to bring my Xbox and steal their high-speed internet. I was blown away. It was one of my first online gaming experiences and still ranks in my top five after all these years. Playing as a spy was a totally different experience then playing as a mercenary. Playing a mercenary was tense due to being stuck in the first person view. Sure, you were well armed, but you didn?t have the advantage of seeing behind you. Spies on the other hand were at a disadvantage in combat (you could only kill mercs from behind), but I was much more comfortable playing as one due to playing two single-player campaigns as one already. If you?ve never played the multiplayer, you really need to. It is still a treat to this day. Unfortunately, you?re going to have to play Double Agent to get Spies vs. Mercs, as neither Conviction nor Splinter Cell Classic Trilogy HD offer Spies vs. Mercs. Critics praised the sequel. The Xbox version holds a 93 rating on Metacritic. While the PC and PS2 version both hold an 87. The GameCube version holds a score of 78. The GameBoy Advance version produced the first sub-70 score in the franchise with a 68. While Shanghai released Pandora Tomorrow, our friends in Montreal were cooking up the most successful game in franchise history. Splinter Cell: Chaos Theory is the clear masterpiece of the franchise. Ubisoft Montreal released Chaos Theory at the end of March 2005 for all major platforms. It was the first Mature rated game of the series, and boy was that a fight to convince my parents that my 12 year old mind could cope with a “mature” game. Chaos Theory was unbelievably gorgeous, even today it is still decent looking. It introduced ragdoll physics, HDR lighting, and both parallax and normal mapping. The single player mode was not just prettier, but included several key additions. 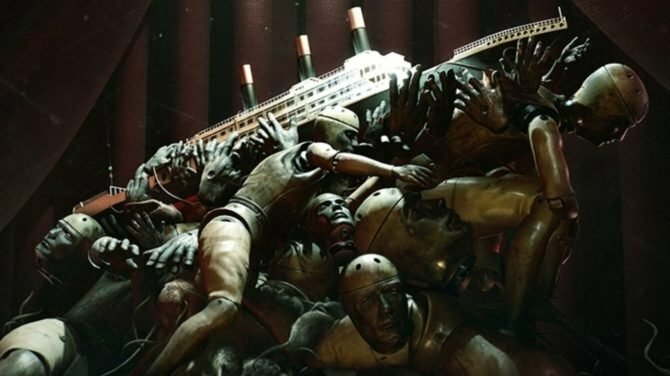 The franchise had always focused on hiding in the shadows, but in Chaos Theory they also added a sound bar that measured the amount of noise Fisher made. Too much noise, your screwed. The game also allowed players to choose from three specific loadouts before each mission. These loadouts allowed players to choose equipment based on their style of play. You could choose an assault loadout, a stealth loadout, or a balanced loadout. Chaos Theory also introduced cooperative multiplayer and improved Spies vs. Mercs. The newly introduced cooperative multiplayer allowed players to enjoy seven unique missions that ran parallel to the plot found in single player. It added cooperative moves such as launching another player at an unsuspecting guard, boosting your buddy over a wall, and many others. A hilarious segment on G4TV about spies Steve and Bob was spawned from the cooperative multiplayer, I highly recommend looking it up for a cheap laugh. Spies vs. Mercs was refined and introduced the cooperative moves found in cooperative multiplayer. Chaos Theory was praised by critics. It currently holds a score of 94 on the Xbox, a 92 on PC, an 87 on PS2, and an 81 on GameCube. The handhelds were not greeted with the same reception, the Nintendo DS holds a score of 50 and the re-release for the 3DS holds a score of 53. Now, here comes the dud in the series. Splinter Cell: Essentials, developed by Ubisoft Montreal, was an exclusive for the PSP. It was released on March 21, 2006. Essentials tells Sam Fisher?s backstory through a series of flashbacks. However, the game handled poorly due to the lack of a second analog stick. There were also several inconsistencies in the story that did not mesh with previous and future installments. Honestly, I never played Essentials. One, I didn?t own a PSP, and two it looked like absolute garbage. 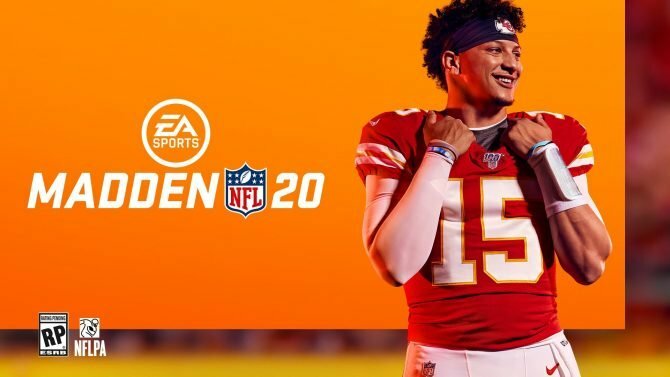 Critics panned the game calling it rushed and the multiplayer broken. Essentials holds a score of 58 on Metacritic. 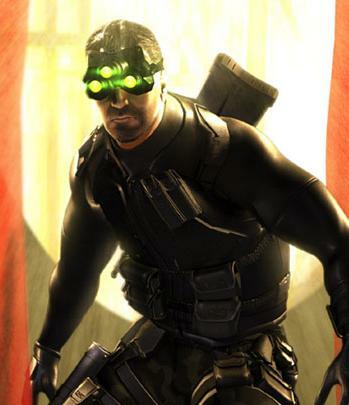 Splinter Cell: Double Agent was the first in the franchise to arrive on next generation systems. It was released on October 17, 2006 for Xbox 360 and followed one later with releases on PS2 and Xbox. 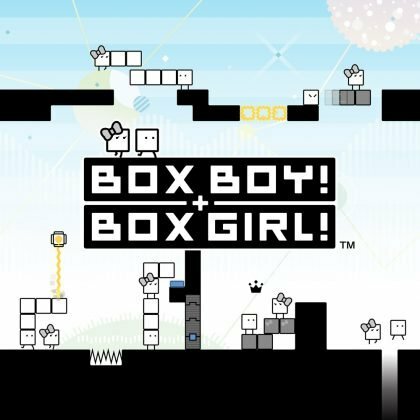 It was later released to all consoles by March 2007. Ubisoft Shanghi handled the next generation versions, while Montreal handled the current gen and Wii version. What is odd about Double Agent is that the two versions both have plot differences. Some missions are not available in one version, but available in the other. The new trust meter is different. Hell, a whole new character was in one version, but not the other. Sound confusing? Well it is. While researching for this article, I stared at the plot synopsis of both versions and came away totally confused on to what the hell is going on. 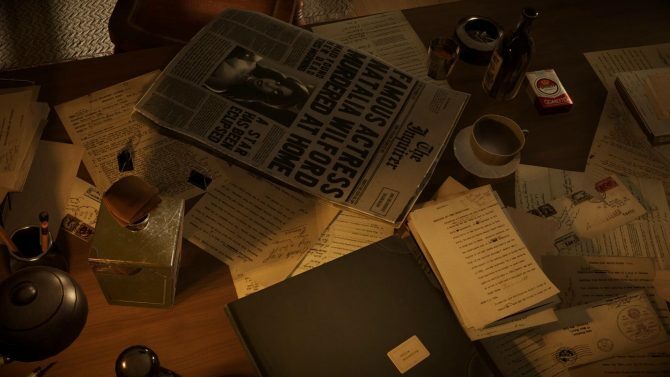 Conviction later explains that the 360 plot is the official ending, but still could the two studios not have had a voice conference to figure this out?!? Anyways?you once again play as Sam Fisher, but this time you are put deep undercover in the John Brown Army, a domestic terrorist group. During the game, you are allowed to pick and choose objectives found in missions to build trust with both the JBA and Third Echelon/NSA. Doing more objectives builds trust with either organization, which effects the ending of the game. Double Agent began the trend of Splinter Cell moving away from stealth gameplay and moving more to an action game (which began the trend of me enjoying the games less and less). Multiplayer was also different in both versions. The 360/PS3/PC versions only featured Spies vs. Mercs and it was still awesome. The PS2/Xbox versions introduced a Spy vs. Spy mode and added a cooperative mode tied into the single player plot. To be honest, I only played the 360 version, so I have no impressions of Spy vs. Spy. Critics had generally positive reviews. The Xbox version was once again seen as the way to play the game (no surprise that Montreal developed it) with a score of 89, followed closely by the 360 version with an 85. It holds a score of 84 on the PS2, an 80 on PC, a 78 on the PS3, a 64 on the GameCube, and a 61 on Wii. 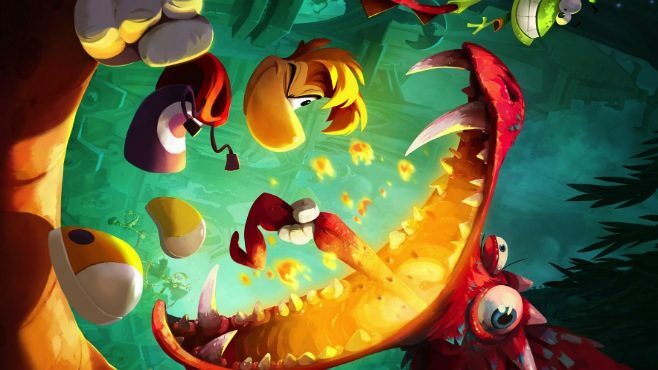 Most critics compared the current gen version to play much like Chaos Theory, so it is no surprise that it scored higher than its next gen counterparts. Splinter Cell: Conviction-2010: Is This Still Splinter Cell? 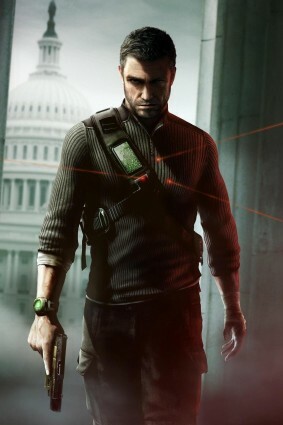 After several delays and a three year departure from the series, Ubisoft Montreal released Splinter Cell: Conviction in April 2010 for Xbox 360 and PC. It has remained exclusive to these two platforms. It was also the first Splinter Cell specifically designed for next generation consoles. Conviction is much more action heavy than previous installments: think Jason Bourne. You never put on the Superman suit, no iconic night vision goggles, and you?re no longer working for Third Echelon. You are basically a rogue agent seeking the truth, though you are aided by former Third Echelon colleague Anna Grimsdottir. The game is gorgeous and I loved walking around iconic settings such as the Washington Monument, the White House, etc. However, I did not enjoy the complete abandonment of the stealth gameplay I had fallen in love with. ?Mark and Execute,? a feature that allowed you to slaughter multiple enemies with the touch of a button, really pissed me off. It felt like cheating. This is not Assassin?s Creed. I want to fear the light, I want to work for every kill. This is why I was angry, but due to my love of the franchise I could not put down the controller. 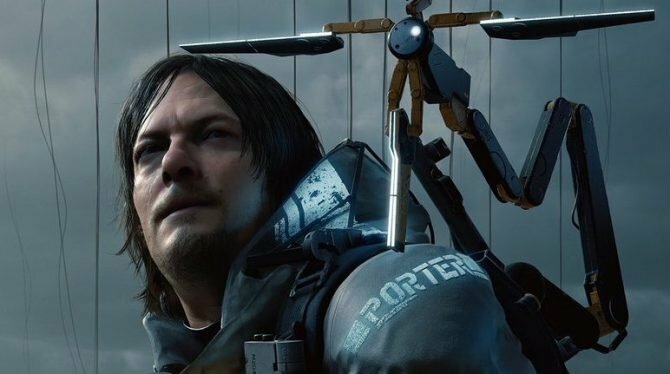 It wasn’t that I hated Conviction, but it just didn’t feel like the games I fell in love with. Spies vs. Mercs was also removed from the game, furthering my anger, but at least they added Deniable Ops, Spy vs. Spy, and a cooperative mode that acted as the prologue to the main plot. 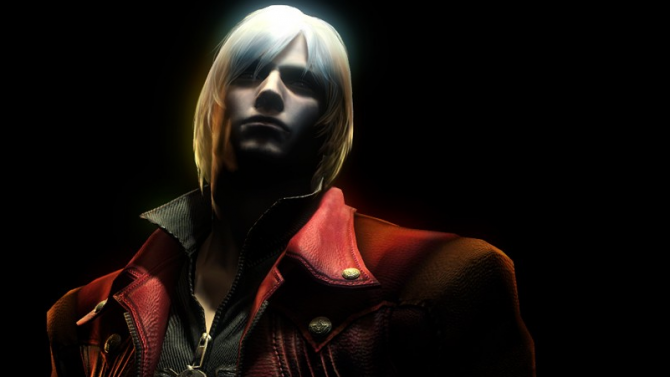 Though not scored as high as previous installments, the game still received praise. The Xbox 360 version holds a score of 85 and the PC holds a score of 83. 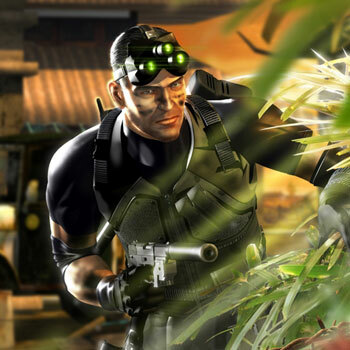 The departure of Michael Ironside has ended an era in the Splinter Cell Series, and leaves many fans (like myself) with a bad taste in our mouths. The main question people are asking is can Doug Elliot provide an equivalent Sam Fisher? Judging by footage shown, the answer is no. Another question is can Ubisoft Toronto deliver on their first game? These questions will be answered on August 20. Thankfully, Spies vs. Mercs is making a comeback, so now there will be no excuse not to play this unique multiplayer experience. 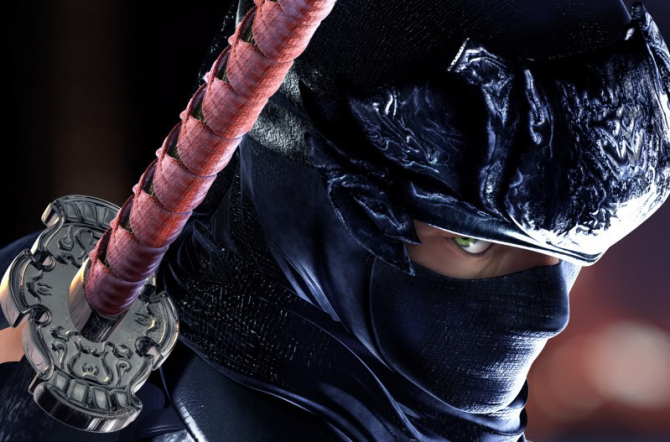 However, it looks like they will continue to abandon the stealth gameplay I loved. I already hated ?Mark and Execute,? I?m sure ?Killing in Motion? will not make me any happier. Don?t get me wrong, I pre-ordered the game and I?m hoping I?m wrong, but I doubt I will enjoy this game as much as I did the first three. In the end, Splinter Cell will live on regardless of the success or lack of success of Blacklist. The franchise holds an average score of 79 on Metacritc (this includes the crappy handheld versions as well). As a fanboy, I will continue to buy every game because I love the franchise. However, I certainly hope that they return to the original?s stealth roots and soon. Ubisoft, please bring back the franchise I love.